Home / Archive / featured / TruTV UK faces the axe - another Turner DTT failure? 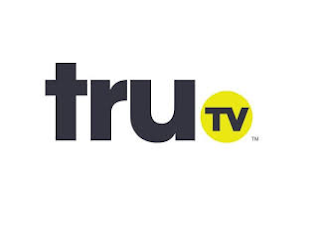 TruTV UK faces the axe - another Turner DTT failure? US media giant Turner is facing its latest Freeview failure, after it was revealed it was considering closing TruTV UK after just over two years on air. The channel has been suffering from poor ratings and has been largely reduced to a diet of crime programming, a genre already covered by rival Freeview channels True Crime, CBS Reality and Your TV. Its launch line-up with heavily promoted US late night show Conan failed to attract enough viewers for the channel and was subsequently moved later into the night before being scrapped. TruTV UK's broadcast of America's Got Talent attracted its highest rating, giving it an average audience share of 0.9%, up from the 0.29% share the channel normally gets. However, media journal Broadcast reports that Turner is in negotiations with an "unknown third party" over a deal that could save the channel, which alongside Freeview (ch. 68) is also carried on satellite, internet and cable platforms. For Turner, this would be the latest in a string of failures for the broadcaster in connection with the UK's digital terrestrial TV platform. It originally provided movie channel TCM to terrestrial pay TV service Top Up TV in 2004. When this began to move away from providing linear entertainment TV channels, TCM was replaced with the short-lived Nuts TV. When this folded, Turner put CNN International in its place until its carriage agreement with multiplex operator SDN came to an end in November 2010. Turner's return to Freeview came in 2014 with the launch of TruTV, and hopes of UK versions of popular US reality shows joining the line-up. But with viewers failing to be attracted by TruTV's programming, and some of its most popular shows drifting off to other channels, it may not be around in its current form for much longer. Thank you for your votes. The poll is now closed.